There is vDSL cable internet from provider. Connection is distributed to other 2 routers. The problem is that sometimes when notebooks are connected to wifi, there is DNS problem - pages can not be loaded - chrome showing Resolving address. However if I connect directly to router by cable, there is no problem with DNS and internet is working fine. I'd start from ground zero - except the topmost router. as were mentioned by @Bilo, connect secondary routers via LAN instead of WAN, on secondary disable dns, dhcp, wi-fi(!) - so they become just switches. 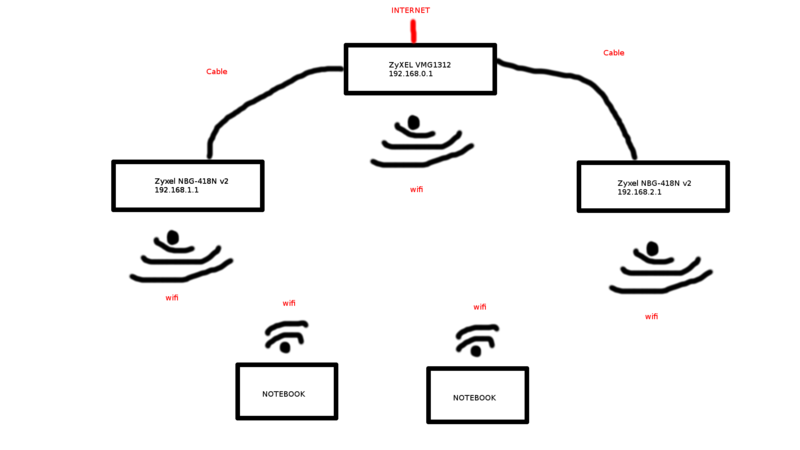 connect a notebook via cable to a secondary router, make sure it works. Repeat for the third router. repeat for the third router using its ip. Not the answer you're looking for? Browse other questions tagged dns wireless-router or ask your own question.